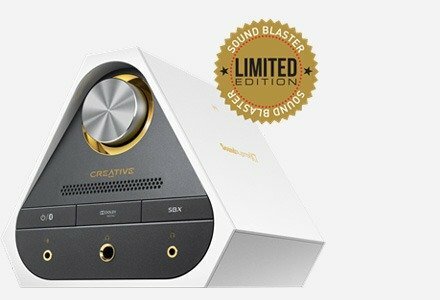 Staying true to the Sound Blaster Roar Heritage, the Creative iRoar is an intelligent portable Bluetooth® speaker that continues to live up to the critically acclaimed sound signature and battle the laws of the acoustic engineering by packing all the awesome components and technology within a compact enclosure, no larger than the size of a booklet. The Creative iRoar has been named a CES 2016 Innovation Awards Honoree product in the Home Audio/Video Components and Accessories category. The speaker will be showcased at CES 2016 - the world's largest consumer electronics show. Raising the bar for high performance audio and customisation capabilities, you can customise the functionality of the iRoar, simply by coding your own Add-ons and repurposing the iRoar to exactly the way you want it to function. Check out the features of the Creative iRoar at a glance. Click on the icons below for the relevant section. Expect the perfect blend of architecture and intelligent software to deliver great audio beyond your imagination. 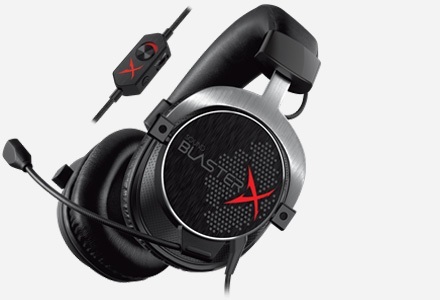 The BlasterX Acoustic Engine is designed to boost the acoustic performance of your audio for your heightened listening experience. The iRoar is not just a powerful speaker; it is also an intelligent one. Most Bluetooth speakers allow for audio streaming from your smart devices. With the iRoar and the iRoar Dashboard app for iOS and Android, you can personalise your audio. And that's exactly where the iRoar is headed. Its features and functions are fully accessible via the Dashboard app, so you feel like you're interacting directly with your audio. Customisation is the name of the game - from the equaliser to the level of immersion and clarity of your audio. Take joy in creating your own sound signature wherever you go. The Dashboard app saves your most recent configuration. When you pair with another iRoar speaker, your personalised configuration will be automatically loaded into that iRoar! You can make on-the-fly adjustments seamlessly! 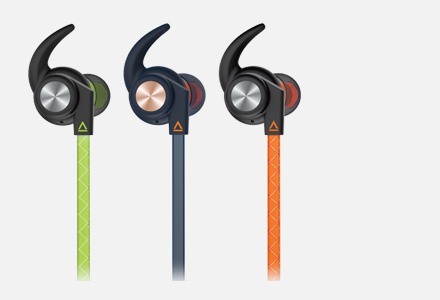 Allows bass and treble audio adjustments to suit your personal taste. Controls your 360-degree surround sound experience. Improves speech clarity for music, movies and games. The Dashboard app offers multiple sound characteristic profiles that are designed to heighten your audio experience - be it for movies, music playback or your virtual gameplay. Simply select the profile of interest and the iRoar will automatically adjust its settings to deliver the selected characteristic profile accordingly. Ever wanted to hear every detail of your audio, even at the lowest volume? With Smart Volume, you can achieve that with just a press of the button. The iRoar comes with two modes. When Auto Mode is activated, your audio playback is constantly monitored so you can enjoy your songs at a consistent volume you've configured previously. It also compensates for low quality audio sources with its frequency analysis adjustments. Are you a night owl? Love watching movies at midnight? The Night Mode lets you hear all the details, even when you've reduced the volume. Enjoy the best, while the iRoar takes care of the rest. Be heard loud and clear with the iRoar's beamforming microphones. The Mic Beam technology features two modes that let the speaker pick up sound all around the speaker and within a certain parameter. 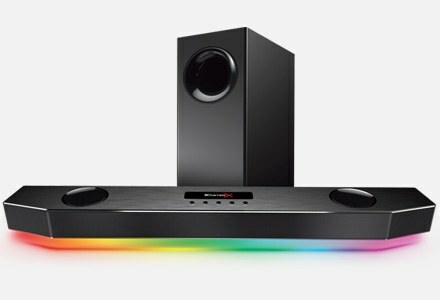 The 360° mode captures sound all around the speaker, no matter where you are. Alternatively, the Private mode reduces what you don't want to hear. It focuses on picking up sound within a predefined acoustic zone so sounds within this zone will be isolated from your surroundings. Change your voice in fun and amazing ways with Voice Morph. Take advantage of this feature and play a prank on your friends! Amplify and blast your voice on the fly, be it for grabbing attention or directing a crowd. There are many voice effects to choose from! Turn your Android phone or iPhone into an iRoar remote control with the Remote Assistant app! Apart from performing music playback from your phone's media library, the app also allows you to access audio content stored in the microSD card in your iRoar. The best part is, you can view the current track playing from your microSD card - on your smartphone! You can remotely trigger iRoar to record via the app and save your audio sessions into the microSD1 card. Enhances audio in real time, giving you superior listening experience. The active 2.75″ driver pumps out impressive bass. Directing the audio upwards not only stabilises the speaker, but also provides for a wider soundstage that doesn't require the listener to be situated in the audio sweet spot. Durable and lightweight improved high frequency drivers deliver balanced highs. These dual 2″ premium drivers are also designed to provide far-field high frequency dispersion. Of course, such a collaborative sound system wouldn't be made possible without the intelligence of our proprietary processor, SB-Axx1. The SB-Axx1 is an audio Digital Signal Processor (DSP) that enhances your audio experience with clarity. 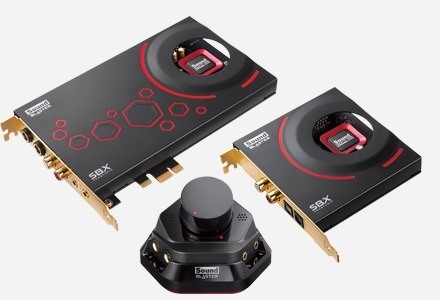 A custom-built audio processor is utilised across all our top performance Sound Blaster products such as the Sound Blaster ZxR, Sound Blaster X7 and the Sound Blaster E5, SB-Axx1 processor provide the computing power required by the iRoar to enhance your audio in real time, giving you superior listening experience for your music, movies and voice calls. While many other portable speakers produce small, constrained sound, the Creative iRoar is designed to deliver powerful space-filling audio. Most portable speakers utilise a single amplifier to reproduce the entire audio spectrum. With the traditional single amplifier design, much demand goes into reproducing the lows and mids, which compromises the delivery of the highs. Through much research and development, the iRoar is designed to accommodate 5 speaker drivers, including a active 2.75″ driver, into a compact booklet-sized form factor. Dual lightweight high-frequency 2″ drivers project far-field high-frequency dispersion while a top-firing active 2.75″ driver pushes bass outwards; and this is enhanced by two side-firing, opposing passive radiators that spreads out the bass even further. The compact powerful iRoar also features 2 high-performance amplifiers - one dedicated to driving lows and mids, another solely for delivering highs - producing clear, spacious, well-balanced audio without compromising on the bass. The result of all this is that iRoar is able to deliver powerful room-filling audio that is not sweet spot-dependant. When it comes to the speaker stability at high volume levels, the iRoar comes second to none; unlike top-heavy, front/rear-designed speakers that vibrate and move position at high volume levels, the iRoar is stable as a rock even while blasting at maximum volume. Designed for acoustic performance, the top-firing active 2.75″ driver is laid horizontally which increases stability while its rigid monocoque endoskeletal chassis reduces internal components that can vibrate individually. So what you hear is pristine music from an extremely stable speaker, free of annoying vibrations and rattle. Don't be fooled by its size. By default, it produces balanced, high-fidelity audio. And in scenarios where sheer audio power is needed - in large parties and social gatherings, for instance - users can press the ROAR button that instantly boosts the loudness, depth and spaciousness of the audio. All you need is to tap on the ROAR button and let the iRoar take care of the rest. Intelligent Touch Controls are adaptive and context sensitive based on the selected mode of the speaker. The relevant buttons light up to show the relevant controls that matter to you. Specially made for professionals, this powerful Bluetooth speaker doubles as a wireless personal PA system, helping you deliver a compelling performance in your presentation, conference, classes, or even karaoke sessions! Simply connect the iRoar to the iRoar Mic (sold separately), and you are all ready to take the stage. Weighing at 30 grams and with a battery life of up to 10 hours2, the iRoar Mic can be held, clipped or hung for versatile and convenient speech delivery and performance. The iRoar Mic also comes with a line-in jack that allows you to mix music from your mobile device, giving you wireless karaoke sessions! The iRoar supports Bluetooth aptX Low Latency codec in addition to AAC, which are advanced HD codecs that deliver high quality audio for Bluetooth transmission. These codecs — supported by branded Android phones and the iPhone, are crucial for great wireless audio and they are not even found in many premium wireless speakers. With low latency, you can enjoy your games or watch movies without delays. In other words, no interferences with your video and virtual gameplay! 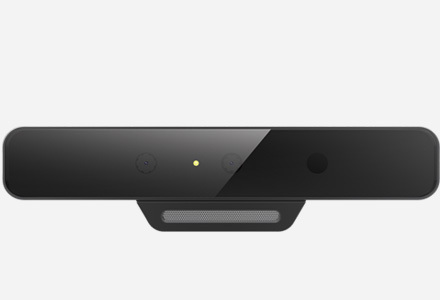 Plus, the Creative Multipoint3 lets you multi-task with up to two devices connected simultaneously. You can play your entire music collection directly from the iRoar without relying on your mobile phone. Simply insert a microSD4 card that contains your favourite songs and press the Play button to enjoy a fantastic listening experience. Boost your TV audio by connecting an iRoar easily via optical5 cable. 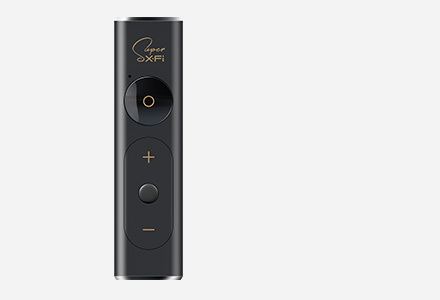 Enjoy powerful high-fidelity digital audio stream directly from your TV with minimal effort required. iRoar is more than just a Bluetooth speaker. When connected via USB, it delivers precise, low jitter USB audio6 from your PC, so audio artifacts are minimised. Even with wireless connectivity options, you can put an old school charm in the music you love. The iRoar comes with an integrated 3.5mm AUX-in port for connecting to other analogue audio devices. Ever experienced pairing your Near Field Communication (NFC) yet you can't seem to get it right? With the iRoar, you won't have to shuffle your phone around to initiate NFC pairing. The NFC zone is atop the speaker, thus allowing a wider coverage for pairing. Tap your NFC-enabled phone onto the black rim of the speaker, and it will pair instantly. Simple. The iRoar delivers amazing stereo audio performance on its own. Now, imagine your audio performance with two units of iRoar! Using the MegaStereo Cable7 (sold separately), you can connect two units of iRoars to create a mega stereo experience of left+left and right+right channels to achieve a wider sound stage, giving you even more powerful, all-encompassing audio for your entertainment! The iRoar comes with a built-in 9000mAh Li-ion battery that provides up to 20 hours of playtime8. It is also able to charge mobile phones and tablets quickly with a high 1.5A output9. Designed to unleash the full potential of the iRoar, the Creative iRoar Rock (sold separately) is a powerful docking subwoofer that is part of the iRoar Ecosystem. Get more out of your audio when you dock the iRoar via the Docking Expansion Port. This feature further extends and enhances the mid-range, bass and surround performance of the iRoar. Quick and simple, the iRoar Rock also acts as a wireless charging solution for the iRoar without any fuss. 1 Compatible with microSD or microSDHC cards up to 32GB formatted in FAT/FAT32. 3 Playback of music is on a turn-by-turn basis, with 1 source playing at a time. 4 Supports playback of MP3 up to 320kbps, M4A (AAC) (DRM-free files), WAV. 5 Up to 24-bit / 96 kHz PCM. 6 Asynchronous USB Audio Class 1, 24-bit / 48 kHz. 7 MegaStereo cable available separately. 8 Actual battery life will vary with use, settings and environmental conditions. 9 It takes 3h to fully charge the Creative iRoar via the included power adaptor. 10 Only audio playback from Bluetooth, Optical input, microSD card and USB audio via PC/Mac are supported when the MegaStereo Cable is in use. While using MegaStereo feature, the audio may sound unbalanced when Creative iRoar is running on battery mode after an extended period of time. This is due to the difference in individual speaker battery levels. For optimum performance, it is recommended to connect both speakers to their power adapters. Creative iRoar 6.8 out of 0 based on 2 ratings. based on 30 reviews. Common audio formats such as MP3, AAC and WAV. (MP3 format up to 320kbps,M4A (AAC) format up to 320kbps and VBR).